A ground floor 2 bedroom, 2 bathroom ground floor apartment benefiting from a dual aspect reception room and open-plan kitchen. Features include LED lighting with coffered ceilings, underfloor heating, comfort cooling, modern appliances including Grohe and Miele and fitted wardrobes throughout. 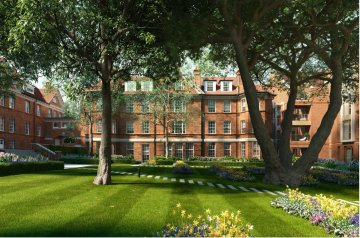 Further benefits include 12 hour hotel-style concierge and secure underground parking. 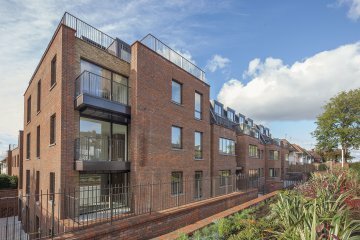 Hampstead Reach offers easy access to central London with Golders Green underground (Northern Line) close by and the varied shops, restaurants and local amenities. 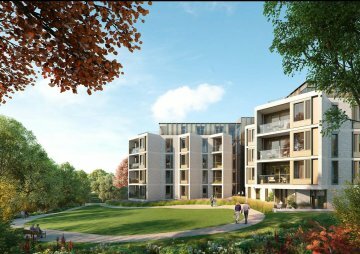 Hampstead Heath Extension is close walking distance extending to the extensive parkland of Hampstead Heath.